Malta’s loved and loathed phallic symbol has hit the big time. After sparking controversy during the Pope’s visit and featuring on the BBC, it is now the face of a new advertising campaign by Vodafone Malta. In the adverts, DJ Gianni is seen standing happily in front of the controversial Mediterranean Column, on a roundabout in Luqa, with the slogan: Proud of my country. “The column has been there for years but a whole fuss arose when the Pope was about to visit Malta. We thought it was a good lighthearted topical issue to use to get noticed,” Lara Parker, creative director of advertising company Redorange, said. Just before Pope Benedict XVI visited Malta in April, the Luqa local council had asked for the “vulgar” column to be removed as a sign of respect, prompting the story to be featured by the BBC and other international news agencies. Ms Parker described the monument as “Malta’s response to the Eiffel Tower or the Tower of Pisa” and said the campaign was intended to be tongue-in-cheek, even though it was bound to elicit the usual criticism. 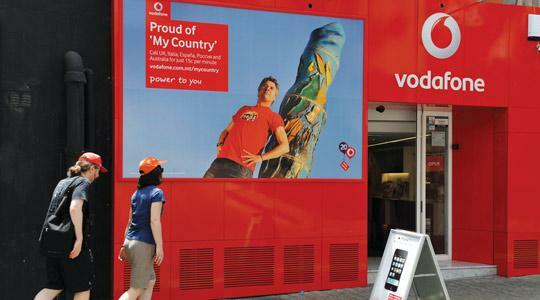 This is not the first time Vodafone chose to go down a risqué route with their advertising campaigns. Late last year, one of their campaigns sparked controversy when condoms were distributed with publicity fliers to University students. Ms Parker pointed out that it was always difficult to persuade Maltese companies to go for adverts that sparked controversy but the success of such campaigns spoke for themselves. She added that many of her concepts are rejected but, following the success of the condom campaign, it became easier to convince Vodafone of certain “daring” advertising concepts.